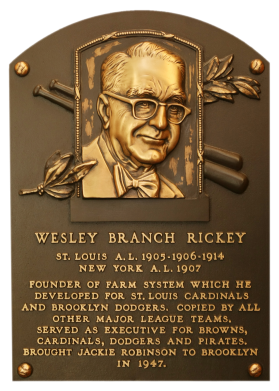 One of the game's great innovators, Branch Rickey invented the farm system and built the NL dynasties in St Louis and Brooklyn. 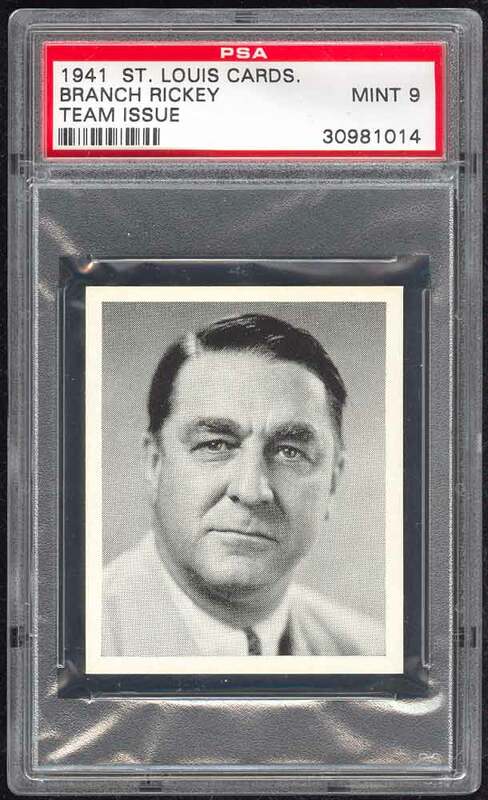 When he joined the Cardinals in 1919 as president and field manager, the franchise could not compete with richer clubs. 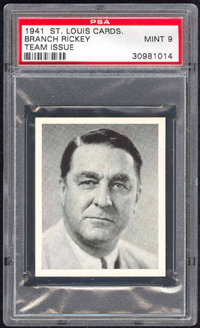 "The Mahatma" began to buy minor league clubs, and by 1941, St. Louis had 32 minor league affiliates. 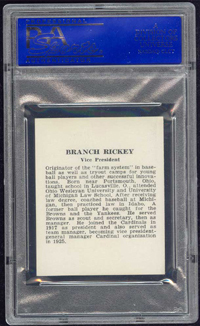 He moved to Brooklyn in 1942 to build that franchise, Rickey's most historic act, however, was to integrate the major leagues when he signed Jackie Robinson in 1947. 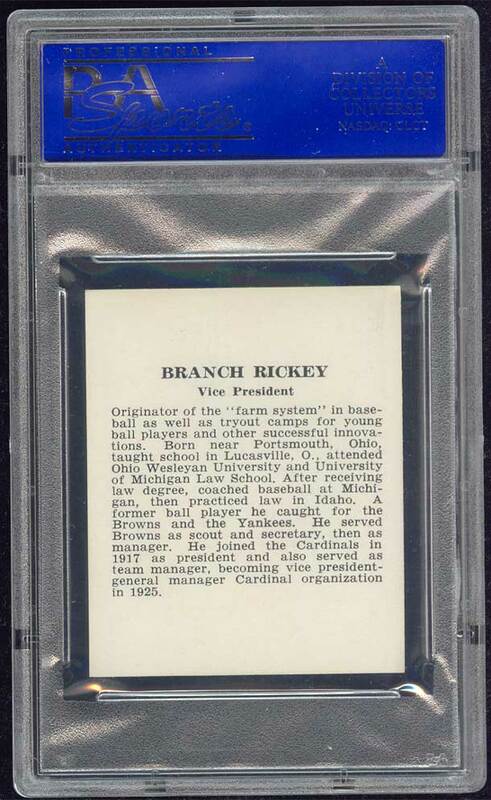 Comments: In October, 2004 I was searching eBay and found this card raw. It was described as NM++++++ by the seller Steven Plotnick. What a buy at $66! I submitted it to PSA and it came back MINT. This is one of my all-time best submissions and purchases as it's the highest graded copy in existence. Description: A companion set to W753, this time (W574) featuring the National League team in St. Louis.